Two scholarships of $1000 each may be awarded annually to encourage entry of qualified students into a career in Conservation, Wildlife/Fisheries, Biology or Renewable Resource Technologies. 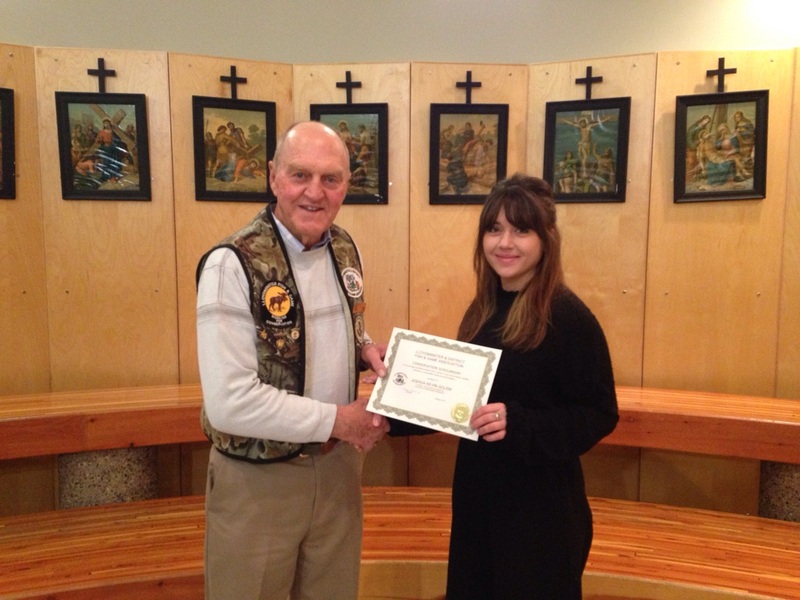 Students must have attended a high school in our membership area: Lloydminster Comprehensive High School, Holy Rosary Highschool, Lashburn, Hillmond, Maidstone, Neilburg, Marwayne, Kitscoty or Paradise Valley. Each applicant will submit a letter of acceptance from the post-secondary institution where he or she will be taking their environmental science courses. Application forms should be available from the career counselor in the above mentioned high schools, or can be downloaded below. For more information, please contact the Scholarship Chairman, Bill Armstrong at 780-875-5100. 2018 LDFGA Scholarship recipient Dustin Snider. Dustin attended LCHS and is now attending the University of Lethbridge. He is enrolled in Environmental Sciences. 2018 LDFGA Scholarship recipient Joshua Golem. Joshua's sister Kali accepted the scholarship on his behalf. Completed applications with required documentation must be received no later than September 20th. Download the brief as Adobe PDF or review below. 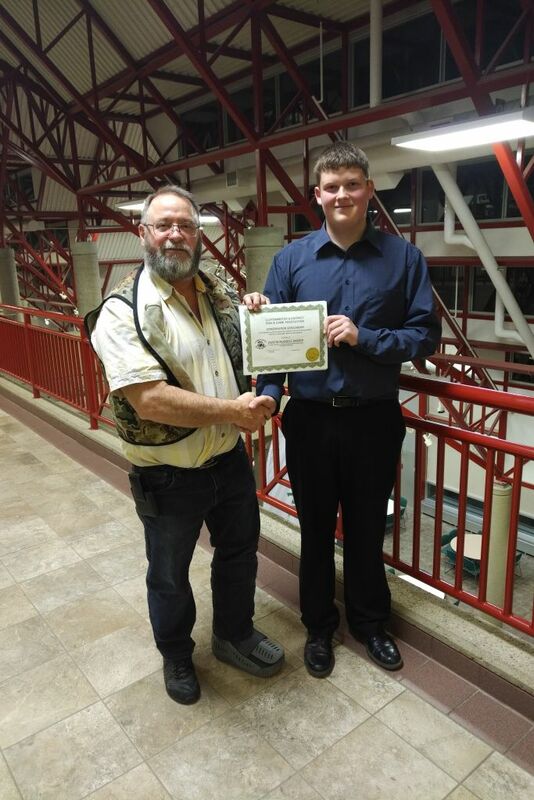 The Lloydminster and District Fish and Game Scholarship will provide financial assistance to a student of a recognized Canadian educational post-secondary institution who is enrolled in a course of environmental studies such as Fisheries and/or Wildlife Management; Resource Management Studies; Ecology, Conservation and Environmental Resources. To encourage entry of qualified students into a career in the Conservation Wildlife/Fisheries Biologist or Renewable resources technologies. Lloydminster and District Fish and Game Association Inc.
Will be a one-time payment of $1000 to each of the two successful applicants. The scholarship may not be awarded during a particular year if there are no suitable applicants, but that scholarship may be awarded in a following year if the number of applicants warrant it. There will be a review of the amount of the scholarship every three years. Applications should be submitted on the application form specifically designed for this scholarship. Submit a statement of high school marks and any other educational achievements if applicable. Submit a letter of acceptance for a post-secondary institution. Provide two (2) letters of reference that summarize the applicant’s personal qualities. The applicant must enroll in a course which will train the applicant to work in the conservation, environmental, or renewable resources field. Other awards the applicant may receive will not disqualify the applicant for this scholarship. The applicant must meet the entrance requirements in this specific subject area. The applicant is eligible to receive this award only once; unsuccessful applicants may re-apply. The Lloydminster & District Fish & Game Association reserves the right to disqualify an applicant if judged unacceptable. Applicants must show a sincere interest in continuing in an occupation relating to Conservation, Ecology, Fisheries, Wildlife or Resource Management. The applicant should have resided in the general membership area of the Lloydminster & District Fish & Game Association for at least one semester during his high school years. Academic achievement (as calculated from marks), especially science. Personal qualities as judged from the letters of reference. The suitability of the applicant for his/her particular career choice. Financial need, only if all other factors are equal. Selection shall be determined by a five member selection committee composed of two representatives of the Lloydminster & District Fish & Game Association, two educational representatives, and a working conservation officer, biologist, or wildlife technician. The sponsor will administer the scholarship and appoint the selection committee. There will be an annual contribution of the funds from the general account of the sponsor by October 20. This may then be forwarded to the successful applicant. Career counsellors and eligible students from our membership area schools may download scholarship information and application forms by accessing the website: lloydfishandgame.org. Local school division offices: Lloydminster Public, Lloydminster Catholic, Northwest and Buffalo Trail will be reminded annually of this scholarship opportunity for students in the eligible schools. The Scholarship Chairman shall be responsible for arranging appropriate publicity, record keeping and administration to facilitate the continued provision of this scholarship.